Since its invention in the 1960’s, the Hotwork burner has been the foundation of the Hotwork service. Over the years, improvements and refinements have been made. Specialized burners were developed for certain applications. 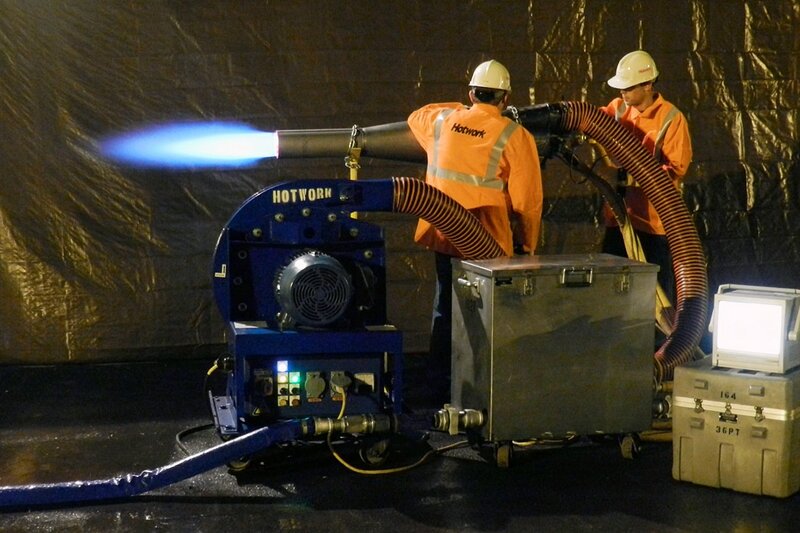 Hotwork now has over 400 sets of portable combustion equipment. The basic unit is set of gas combustion equipment including the combustion air blower, the flame detection/fuel control unit and the burner. The temperatures are detected with thermocouples and the result is archived on a data recorder. Hotwork now has specialized portable equipment capable of multiple fuels, at multiple capacities, and of different sizes/configurations to match even the most difficult application.